F&W readers select their favorite summer dishes, including grilled scallops with Mexican corn salad and pancetta-wrapped peaches with basil and aged balsamic. 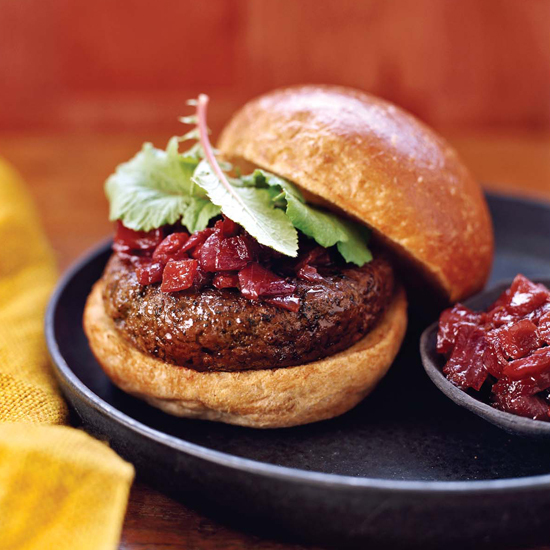 A great hamburger starts with great ground beef, says chef David Walzog. He advocates ground-to-order beef with at least 20 percent fat content, seasoned generously with salt and pepper. “After that, it doesn’t need much else,” he says—just a sturdy bun and sauce that won’t overpower the beef, like this sweet-and-sour red onion compote. 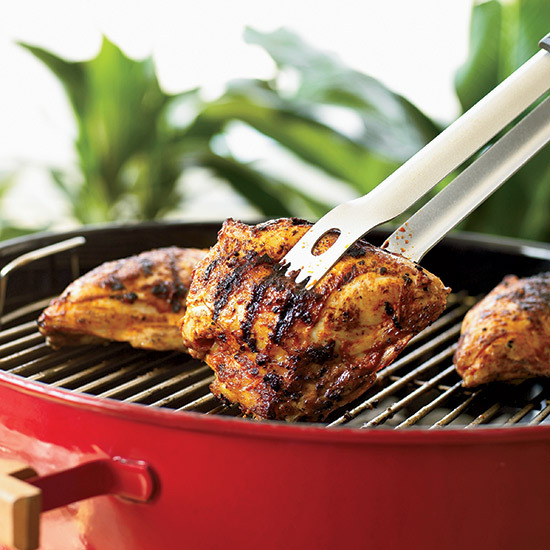 Here, Steven Raichlen rubs the chicken breasts with a blend of North African spices that, when cooked on the grill, forms a crispy crust that is full of what Raichlen calls "gutsy in-your-face flavors." Chef Shea Gallante of Cru in New York City based this recipe on a classic Florentine dish called bistecca alla fiorentina—a thick T-bone grilled rare over hot coals. 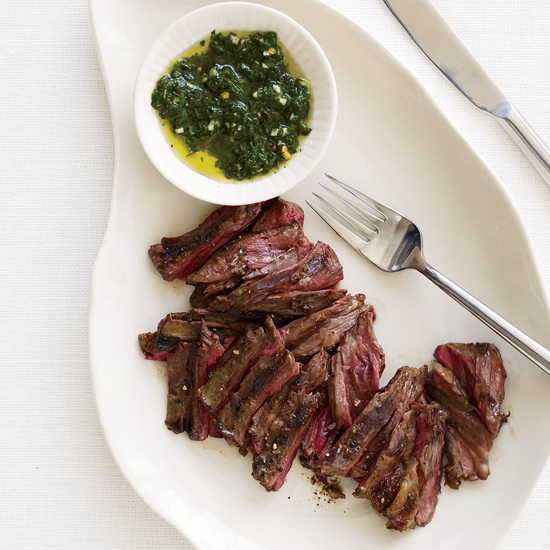 Here, Gallante substitutes cheaper but equally flavorful hanger steak—which he thinks is an underrated cut—and rubs the meat with dried herbs, garlic and paprika before cooking it. 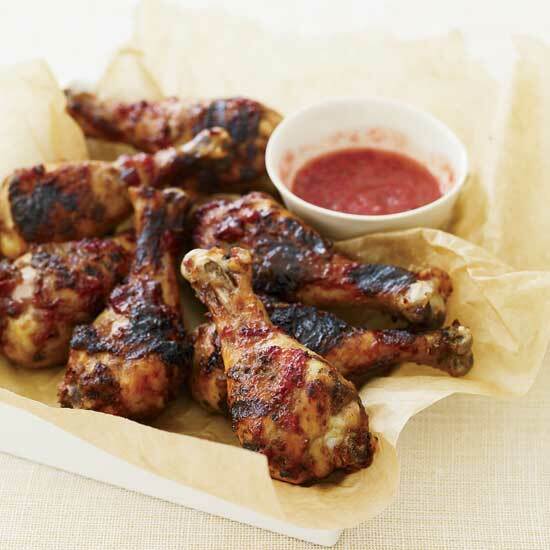 Grace Parisi prepares a wonderfully sticky and nicely sweet glaze of fresh plums and red pepper jelly to brush over drumsticks while grilling. Hot red pepper jelly makes for a spicier glaze; sweet pepper jelly creates a milder one. 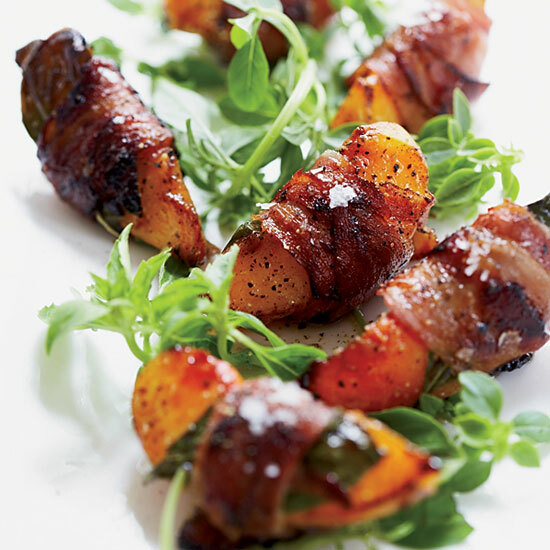 Chef Stuart Brioza sears sweet summer peaches in pancetta with fresh basil leaves for a crispy, juicy hors d’oeuvre. They would also be an unexpected addition to a frisée or baby escarole salad. 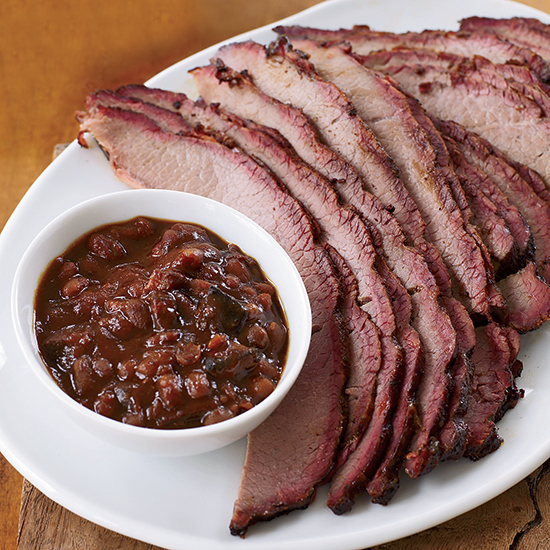 Ten hours on the grill with a slather, a rub and a mop give this brisket an extraordinarily robust flavor. 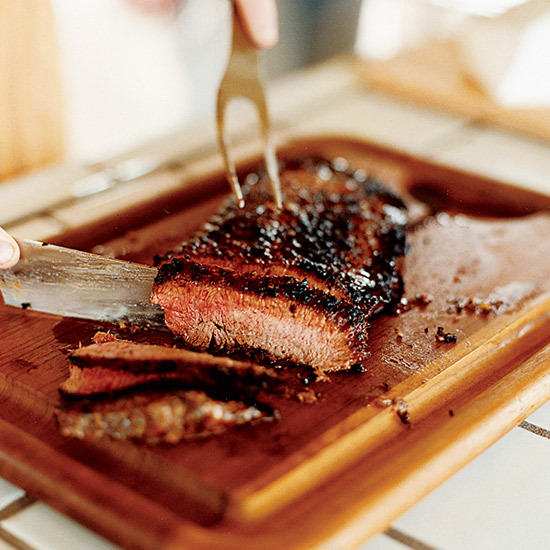 Paul Kirk's recipe calls for a whole packer brisket, which includes both the flat (the larger, leaner portion) as well as the point (the smaller, fattier part for the burnt ends). When slicing the brisket, cut perpendicular to the grain to keep the meat juicy. 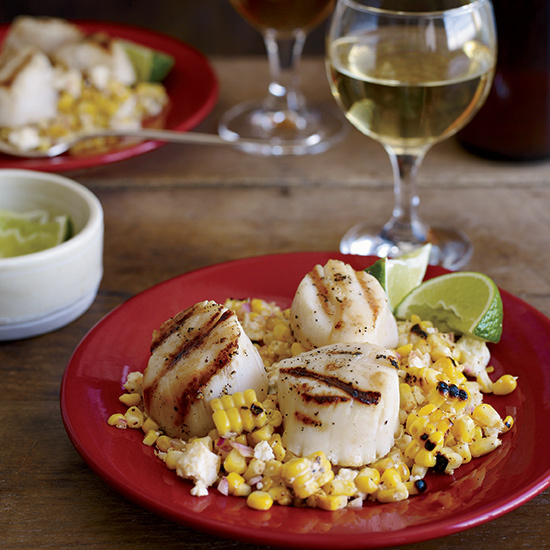 In this spicy salad, plump grilled scallops sit on top of charred corn tossed with the ingredients in elote, an irresistible Mexican corn-on-the-cob street snack.